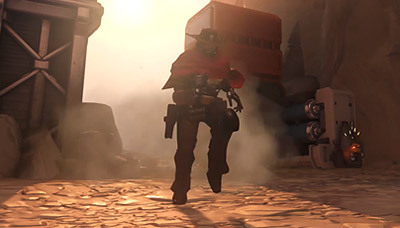 Armed with his Peacekeeper revolver, McCree takes out targets with deadeye precision and dives out of danger with eagle-like speed. 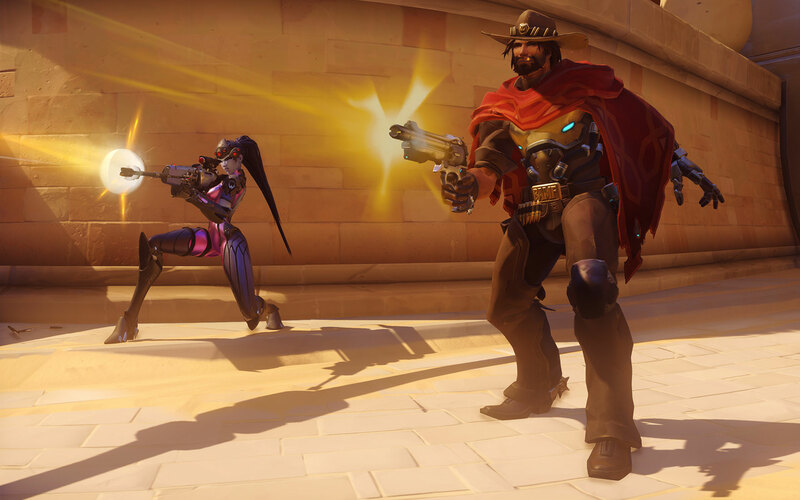 McCree dives in the direction he’s moving, effortlessly reloading his Peacekeeper in the process. 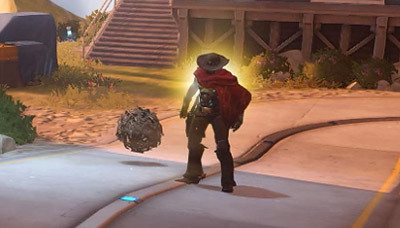 McCree heaves a blinding grenade that explodes shortly after it leaves his hand. 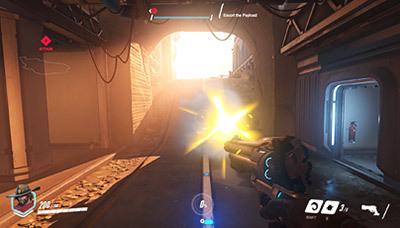 The blast staggers enemies in a small radius. Focus. Mark. Draw. 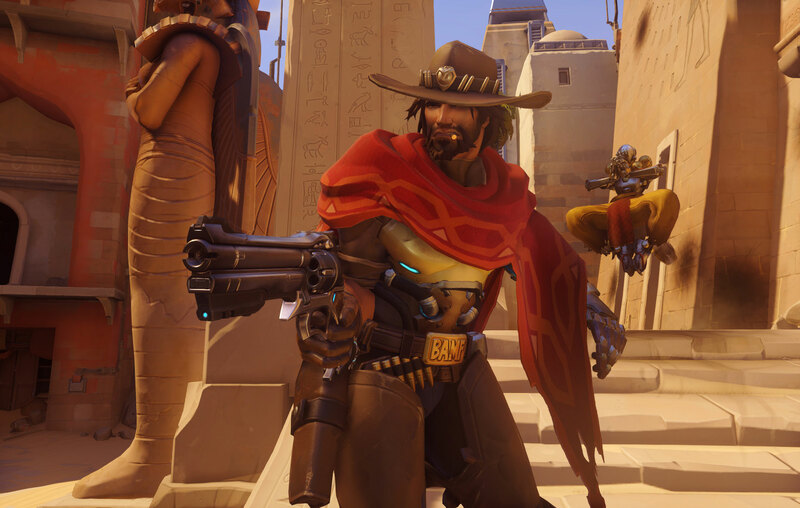 McCree takes a few precious moments to aim; when he’s ready to fire, he shoots every enemy in his line of sight. 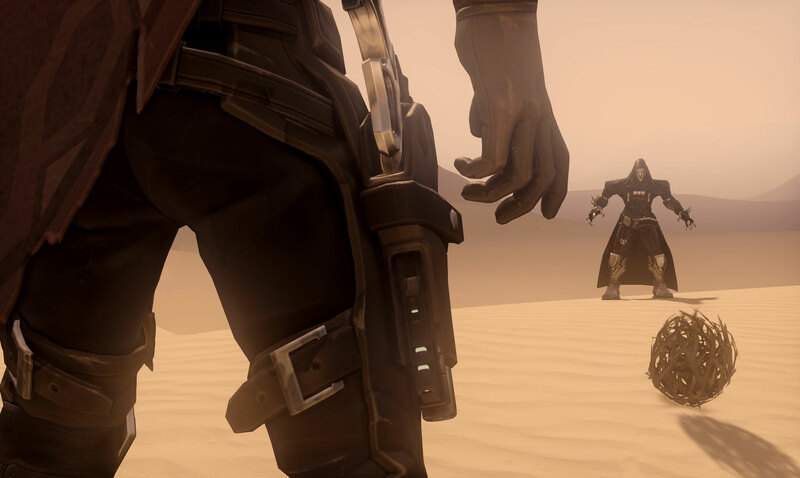 The weaker his targets are, the faster he’ll line up a killshot. 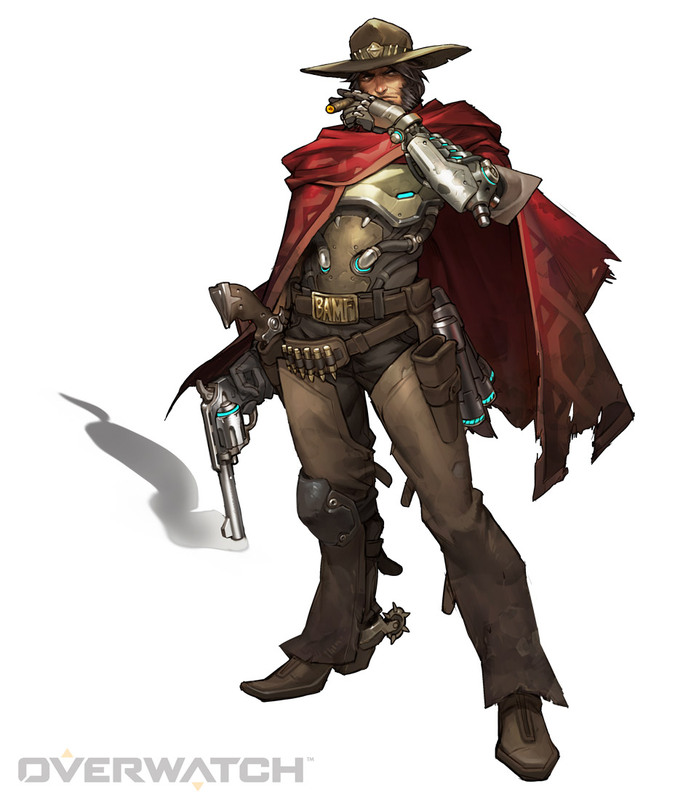 McCree had already made a name for himself as a member of the notorious Deadlock Gang, which trafficked in illicit weapons and military hardware throughout the American Southwest, when he and his associates were busted in an Overwatch sting operation. 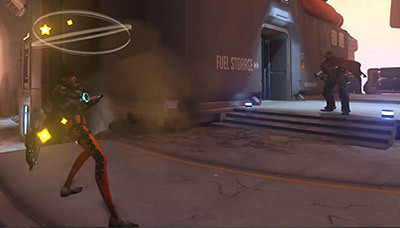 With his expert marksmanship and resourcefulness, he was given the choice between rotting in a maximum-security lockup and joining Blackwatch, Overwatch's covert ops division. He chose the latter.